Based in Hillsboro, Oregon, Waterjet Design has been providing the world with excellence in custom precision cutting for the last 16 years. 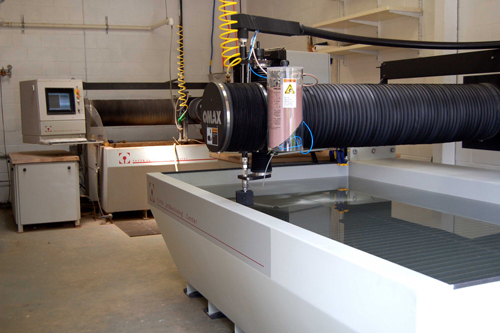 Taking on projects ranging from small-scale logo cutting to large scale home and business installations, there's no end to what can be accomplished with a waterjet. 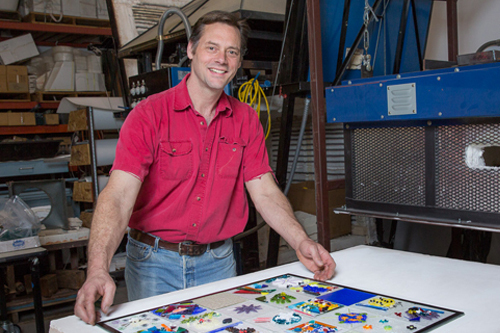 Waterjet Design owner John Groth has worked on both public and commercial glass as well as multimedia art projects as a coordinator, fabricator and a designer. He has fabricated works directly and indirectly through the Bullseye Glass Co. for: Lino Tagliapietra, Dante Marioni, Preston Singletary, Jun Kaneko, Jeremy Lepisto, Narcissus Quagliata, Orfeo Quagliata, Ray Alghrin, Walter Gordinier, to name a few.